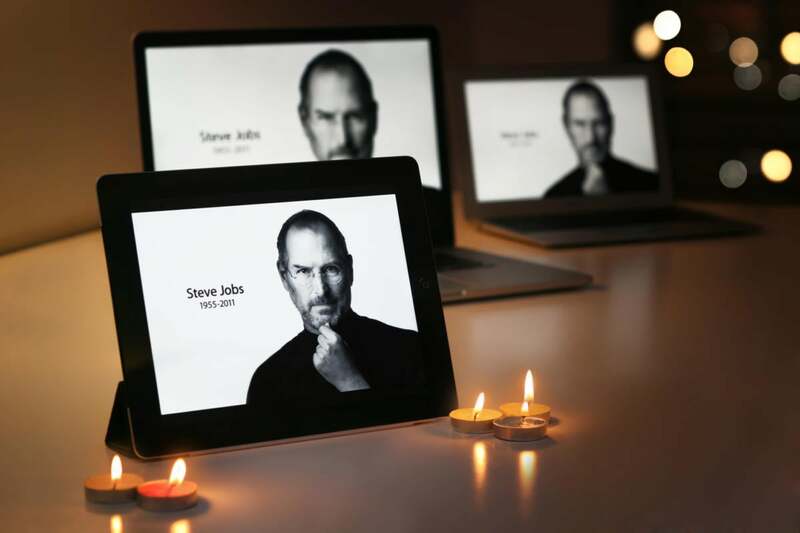 Four years after his death, Steve Jobs is passing from legend into myth. Some recountings of his life try to set the record straight, including last month's documentary, Steve Jobs: The Man in the Machine. Others flirt with creative retellings of the facts, as did the 2013 film Jobs. Now there's Steve Jobs, which throws adherence to the truth out the window — but with an all-star cast helmed by Michael Fassbender, a script by Aaron Sorkin of The West Wing that's based on Walter Isaacson's biography, and direction by Danny Boyle of Slumdog Millionaire, it succeeds in being the most entertaining interpretations of Jobs to date. The film opened to limited release earlier this month, and opens nationwide on Friday. The film is divided across three forty-minute scenes, each immediately before Jobs takes the stage for a product announcement: the arrival of the original Macintosh in 1984, the NeXT computer in 1988 and the iMac in 1998. Each scene also features flashbacks, such as to the garage where Apple was supposedly founded in 1976. Broad swaths of potential character development, such as Jobs' early years at Atari and in India, or his later years battling cancer, are ignored, letting these three scenes serve as the main stages for in-depth character analysis. Across these periods is a consistent cast that includes Apple co-founder Steve "Woz" Wozniak; former Apple CEO John Sculley; Macintosh developer Andy Hertzfeld; marketing executive Joanna Hoffman; former lover Chrisann Brennan; and Jobs' and Brennan's daughter, Lisa. Given how predominantly male Apple has been and still is, I appreciated this more balanced cast — especially Hoffman, an unsung hero who stood up to Jobs for decades. Kate Winslet is brilliant in this role, playing a strong, insightful, moral, and empathetic character whose Polish accent lends her portrayal authenticity. Likewise, Michael Stuhlbarg shows us an Andy Hertzfeld whose book smarts hide a heart of gold. This verisimilitude cannot be said of the other actors. Although it was challenging to imagine Kelso from That Seventies Show as Steve Jobs, Ashton Kutcher nailed the icon's speech patterns and physical idiosyncrasies in Jobs. Michael Fassbender, by contrast, doesn't look or act the part, any more than Seth Rogen does in portraying Wozniak as outspoken, confrontational, and resentful. Woz and Sculley (played by Jeff Daniels, who's also in The Martian) both vociferously shove Jobs' failures in his face, emphasizing that NeXT will fail and that, no thanks to Jobs, the Apple II was Apple's biggest (and often only) success for nearly 20 years. (In the garage scene, when Jobs demands that the Apple II have no expansion slots, closing it off to the world, Woz responds: "Computers aren't supposed to have human flaws. I'm not going to build this one with yours." Ouch.) As a modern-day Apple II user, I was glad to hear this version of history represented: while Jobs was indeed a genius, and Apple would not have existed without him, the idea that everything he touched turned to gold is pure myth. 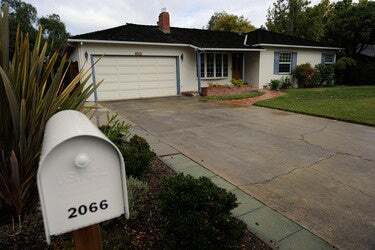 Steve Jobs' childhood house and garage in Los Altos, Calif. on Oct. 6, 2011. But Woz and Sculley never had the opportunity to challenge Jobs so. There's no evidence that Jobs and Sculley ever spoke again after Jobs left Apple in 1985, which makes his role as a recurring character implausible. Woz also left Apple in 1985, whereas the movie implies he was still heavily involved in the company as late as 1998. To make a movie out of just three scenes relies on real artistic license. But this movie uses so much license -- and is so far from the truth -- that it's not meaningful to judge it on historical accuracy. To that end, I prefer to think of it as a comic book-style adaptation or reboot, where homage to the source material doesn't get in the way of telling a good story. When viewed in that light, Jobs becomes a tense, fascinating character study in megalomania, control, relationships, failure, and success. These themes are true to the story of Apple and its leader, even if the exact manifestations are not. Fassbender executes these themes without a hitch, being cunning, coy, and obdurate in the early eras, yet increasingly more human and emotional in the final scenes of 1998 — paralleling Jobs' failure at NeXT, success at Pixar, and relationship with Laurene Powell, all which made for a very different man upon his return to Apple. Steve Jobs speaks at the company's Worldwide Developer Conference in San Francisco on June 11, 2007. The film is aided and abetted by a talented production crew. Sorkin's script ensures a dialogue-driven film with plenty of trademark walk-and-talks and few pauses. So many scenes are fabricated that I have to wonder in what way it's based on Isaacson's biography, except as patchwork amalgamations of characters and vignettes. Boyle chose to use different cameras for each era: a grainy 16mm in 1984, a finer 35mm in 1988, and finally, digital in 1998. My untrained eye didn't notice a difference between the latter two, whereas the 1984 footage stood out in stark contrast, especially when later scenes flashed back to that era. The visuals are complemented by soundtrack heavy on Bob Dylan that fits Jobs' obsession with the artist and his music. Before seeing this movie, I thought I'd had my fill of Jobs and the warring camps that seek to either defame or deify him. But Steve Jobs presents an original version of the story, mostly because it's not true to the facts. Hollywood doesn't do fact — it does fiction. And this is a very good work of fiction based on some very true ideas, resulting in the most captivating work of cinema to be based on Apple's co-founder yet.